Bring balance back into your life with by visiting the Liberty Lake chiropractor specializing in gentle spinal care. We can treat your condition and get you back to your best self. Not all forms of chiropractic care are the same. We treat patients using upper cervical chiropractic care by performing the QSM3 technique on patients, which focuses on body balancing. 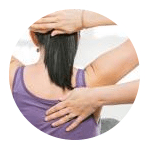 The type of chiropractic care we specialize in is a progression of the NUCCA chiropractic technique and achieves results in a comfortable setting with non-invasive treatment plans. We offer free in-person or phone consultations to potential patients interested in our services. Let us answer your questions about our practices and help you to decide if our services could be a good fit to help treat your health condition. Part of our treatment for every patient includes a full patient evaluation where we’ll discuss your overall health in addition to your immediate symptoms. As part of our treatment plan, we want to make sure you’re taking care of yourself so we can provide the best quality of care. The type of upper cervical chiropractic care we specialize in at Intelligent Balance Spinal Care is called QSM3. This unique form of care works with the body’s central balancing mechanisms and allows us to create lasting results for patients. 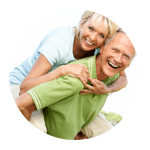 Your treatment plan is geared towards you, which means we start by listening to your concerns and getting an overall picture of you health, habits, and limitations in order to generate a treatment plan with individual goals. Dr. White comes to Intelligent Balance Spinal Care in beautiful Liberty Lake, WA after treating patients in Seattle. Having her original degree in engineering, Dr. White went on to study chiropractic medicine. She now treats her patients’ various spinal conditions by “engineering the body” with upper cervical chiropractic care.